Are you looking for something as mysterious and unique as you are? Then this ready to ship moon eagle ring is the perfect choice. 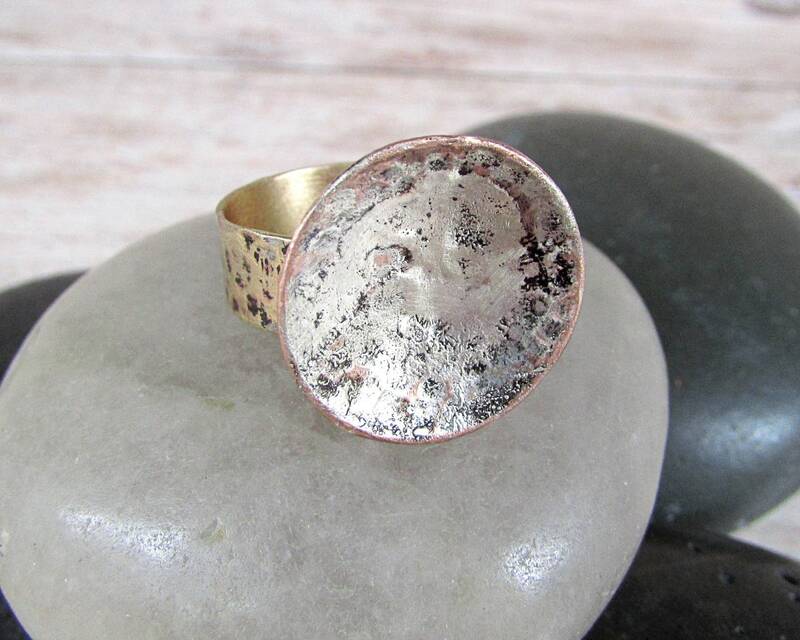 Expertly handcrafted, this one of a kind ring is made from high quality Jeweler's Brass band and Copper moon with hand-applied Silver overlay on the moon. The band of this ring has been carefully hand-cut from American-made jeweler's brass, hammered and filed smooth. The band has been expertly soldered together using lead, Nickel, and cadmium free silver solder to form a continuous circle. The center of the ring has been artistically hammered, domed, and melted silver dripped into the moon before being carefully soldered to the band. If you tilt the ring just right, you will see a profile view of an eagle's head in the flow of the silver. This ring has been beautifully polished with Onxy patina ink applied to add interest. This beautiful celestial ring has been quadrupled coated in jewelry grade shellac to help preserve the metal and prevent it from turning your finger green. Ring will come beautifully boxed and ready for gifting. Even though this ring has been coated in shellac, the metal will eventually begin to patina. This is a natural process and is in no way a defect or flaw. If the coloring is undesired, simply soak the ring in acetone (fingernail polish) to remove any traces of shellac and polish. You can re-coat the piece in either clear fingernail polish or any brand of metal sealer available to you. 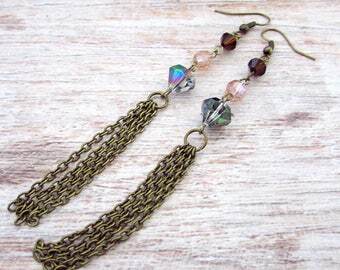 Thank you for choosing The Feathered Elephant for all your Bohemian jewelry needs.